Every Scholar, Every Moment, Every Day: Attend, Believe, Achieve! All A-“Board” for Chess at Artemus Ward. At the beginning of October, we implemented a new initiative to enrich our lunch and recess options for students. We invested in 12 new chess sets and procured enough tables to line the back of our stage with ten boards. Two more boards sit on a smaller table at the front where Mr. Myslenski has been able to coach new players in the fundamentals. For students dealing with social isolation, eating lunch alone can be one of the hardest parts of the day. 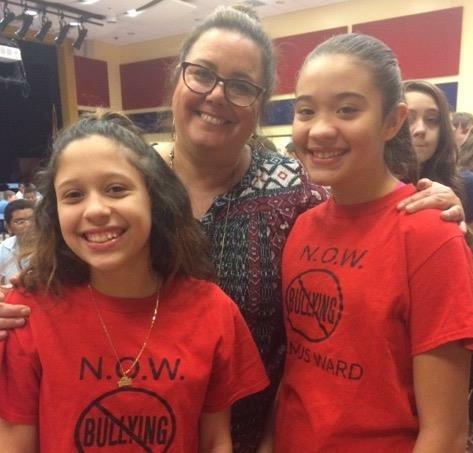 That’s why seventh- and eighth-graders at Artemus Ward School have pledged to become more inclusive and look out for their classmates. Artemus Ward School envisions a place where all students strive for excellence academically, socially, and emotionally in a safe and supportive community. Artemus Ward provides all students with a safe and nurturing environment to support the development of academic excellence and the creation of civic-minded members of society who make ethical decisions. This is accomplished through the use of a core curriculum that respects the individuality of each student and encourages them to maintain the highest expectations for themselves as they aspire to become productive and contributing members of society.